I am so excited to share my latest pattern release with you. 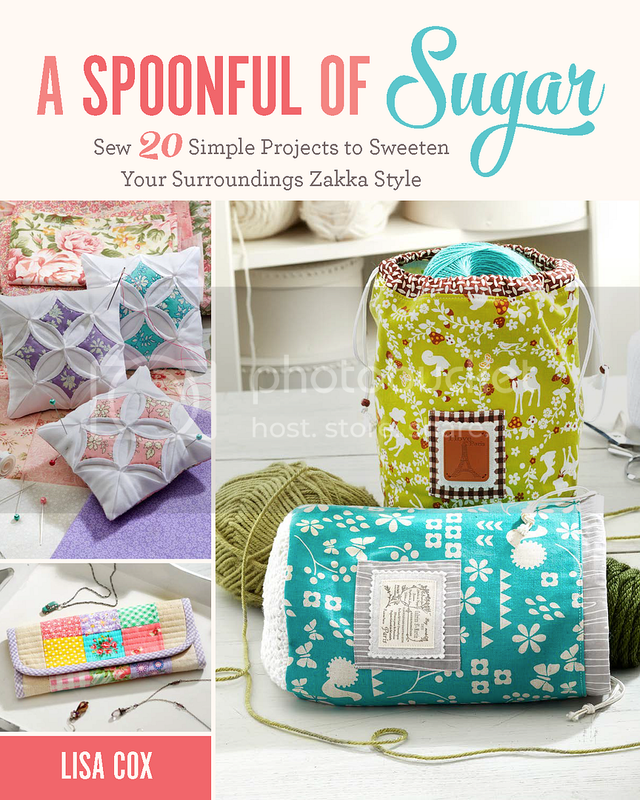 If you enjoy sewing small zakka projects, you will love creating these clever, triangular, Travel Sewing Kits. I had so much fun designing these mini travel sewing kits in the latest Tilda fabric range, Lemon Tree. They can be quickly constructed from your favourite fabric “scraps” and make ideal little gifts . The Travel Sewing Kit is handy for quick repairs when travelling, or for crafting on the go! Featuring room to safely store pins, needles, safety pins, buttons, scissors, and more! Despite its petite size, it can hold all the essentials. The outside of the kit is constructed with strips of your favourite patchwork fabric, making it a fun scrap buster project. The interior includes felt panels to safely stow your sewing items. There is opportunity to customise your pouch with fabrics and trims. The kit cleverly folds into a triangle shape and is secured with press snaps or sew in studs. This is a quick project that can be used as a travel sewing kit, an earbud holder, coin pouch, USB holder or jewellery holder. The Travel Sewing Kit would be the perfect gift for a traveller or friend who loves to sew. They are so handy to have on hand in your handbag in case of a wardrobe malfunction. These little Travel Sewing Kits are so much fun to make – be warned you won’t be able to stop at one! You can find the 12 page pdf pattern – complete with detailed instructions, templates, and photographs to guide you through the construction process – in our Etsy and Craftsy stores. It is available for immediate download. Thanks to Two Green Zebras for providing the Tilda Lemon Tree fabric that was used in this project. Where did you get the tiny scissors? Great little pouch! Can these be made for sale? Hi Karen – the pins are Tulip Pins by Hiroshima needles http://en.tulip-japan.co.jp/hiroshima/ – I love their tulip design.